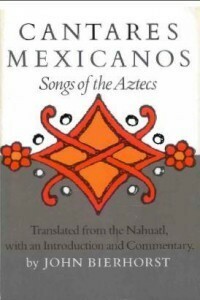 Cantares Mexicanos – Songs of the Aztecs is the English translation of the original Aztec text written in Nahuatl. Three times during the last century scientists have failed to decipher the Cantares Mexicanos. It was finally translated in 1985 by John Bierhost, this is the amazing result. Cantares Mexicanos is now considered a cornerstone in American Indian literature. It consists of hundreds of pages of Aztec poetry and it was written sometime between 1499-1590. English translation of the original Aztec text written in Nahuatl.